Tail Mail is an affordable monthly subscription box from Made by Mermaids. 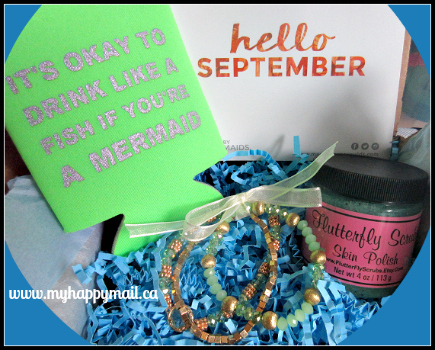 Each month we receive 1 item from the Made by Mermaids collection and 2 sample products from small businesses across the world. 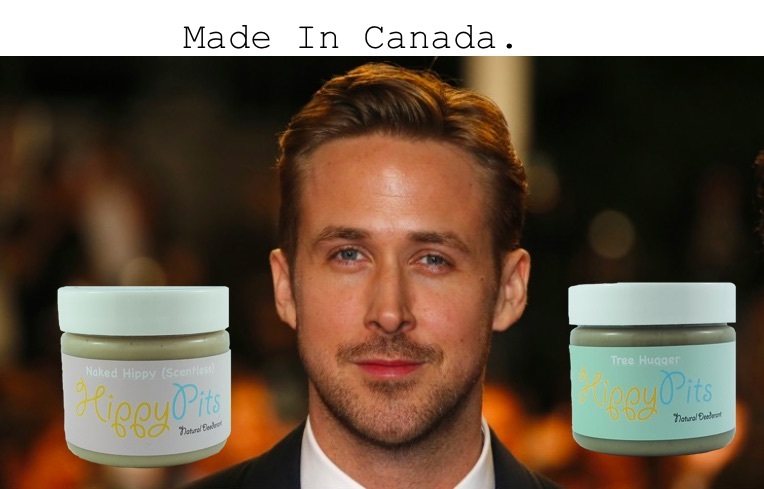 What you get: 1 handcrafted item from the Made by Mermaids collection and 2 sample products from small businesses across the globe. 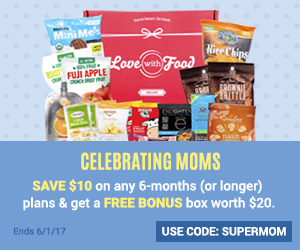 Plus exclusive coupons. This month everyone received different bangles and bracelets as our jewellery item from Made by Mermaids. I received 3 green / gold combo bracelets. I absolutely love them! 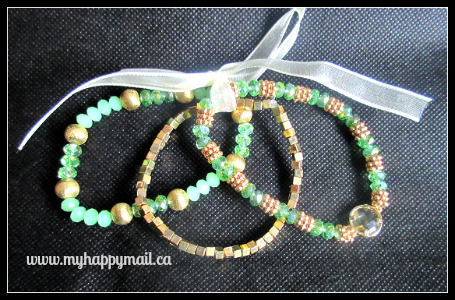 Green and gold are one of my favourite colour combinations and these are very lovely. I was a bit worried about the theme since I have tiny wrists bangles don’t usually fit but these were just perfect. 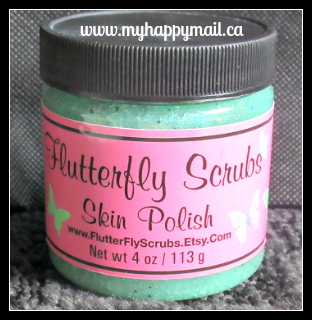 The second item this month is a sugar scrub skin polish from Flutterfly Scrubs. ‘Mermaid Treat’ is the perfect addition to the Tail Mail box. It’s a Cucumber Melon scrub that smells amazing and left my skin feeling so soft. I really liked this scrub and will definitely be purchasing more from this shop. You can visit Flutterfly Scrubs here. I had a green theme in my Tail Mail box this month! The jewellery item was beautiful and I love that we get to try out different items from other small businesses. Any Mermaids in your life that would love Tail Mail ? 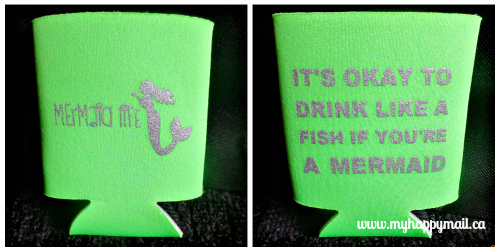 You can click here to visit the Made by Mermaids shop. Don’t forget to check out the shop and use the MyHappyMail code for 10% off your order, the fall collection is simple but stunning. Next month’s theme is nature inspired jewellery and I’m looking forward to it. I love green and gold too! The jewelry item is so pretty. Omgosh I love this and I love mermaids!! I didn’t even know this existed!! 😮 Need it! !